If your husband is overweight, it is not only a personal problem for him, it could put strain on the entire family. Being overweight could shorten your spouse's life and could increase his chance for diabetes, heart attack and stroke. Convincing your husband to lose weight might not be simple if he is not motivated to lose the weight himself, but offering solid support, setting a good example and providing healthy meal options at home could help set him on the track to weight loss success. Ask your husband to lose weight as a favor to you, but ask in a kind and gentle way. Understand it is your husband's right to refuse. However, do not listen to excuses about why he doesn't want or need to lose weight. Instead, ask him how you can help. Lead by example. Your husband is unlikely to want to lose weight if the rest of your family continues eating unhealthy foods. Stock the refrigerator with healthy meal options like fish, poultry and plenty of fresh fruits and vegetables. Eat fewer processed meals, and lower your portion size. Your husband might follow suit. Bite your tongue before you blame or berate your husband for his eating habits. Even if he is sneaking food behind your back or making unhealthy choices, your negative attitude could discourage him from trying to lose weight. Use positive reinforcement. If your husband is taking steps to eat more healthfully and in moderation, praise his positive choices instead of scolding him for negative ones. By praising his good behaviors, you make it more pleasurable for him to eat healthy foods. Instead of focusing on what he does wrong, be a cheerleader for what he does right. 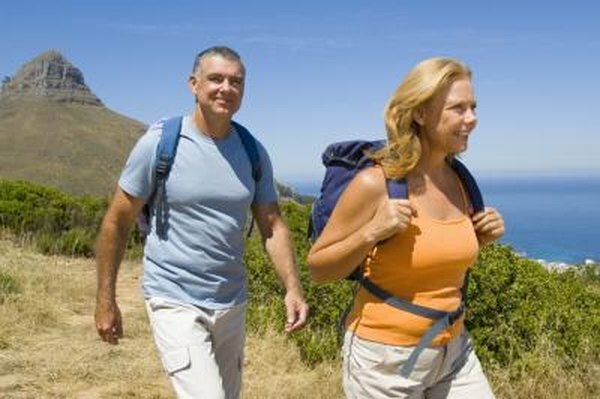 Plan outdoor activities that you and your husband or the whole family can do together. Instead of watching TV all weekend, plan activities such as canoeing, hiking, playing basketball or bike riding. That allows you to spend quality time with your husband while helping him reach and maintain a healthy weight. Consult a doctor before starting a restrictive diet plan. Avoid fad diets that require you to eat the same foods at each meal.